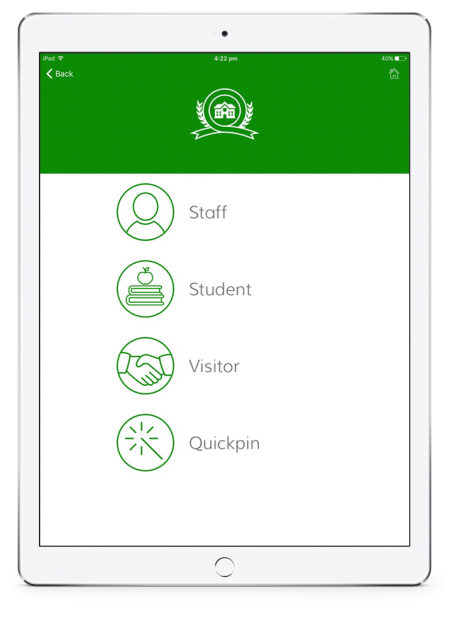 Real-time visitor management of school visitors, school contractors and teaching staff. 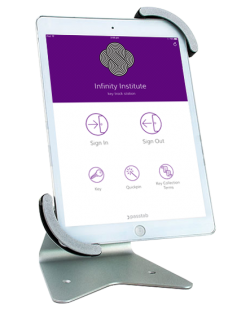 Flexible and customised school visitor management. 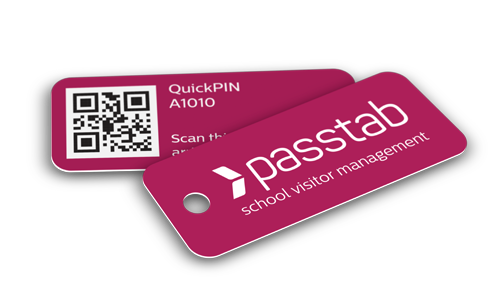 Passtab is the leading visitor management solution for primary, secondary and private schools. With an emphasis on understanding the changing needs of schools and our belief in ongoing improvement, Passtab will continue to be a system that meets your every requirement. A set of tools with the power and flexibility to create the best solution for your school. Manage sign in types such as contractors, volunteers, parents and relief staff. Collect different information from each during the sign in/sign out process. Powerful options using email or SMS. Notify teachers of student movements. Alert staff to the arrival of their visitor. Email key contacts when a sign in flags certain conditions against a registration. 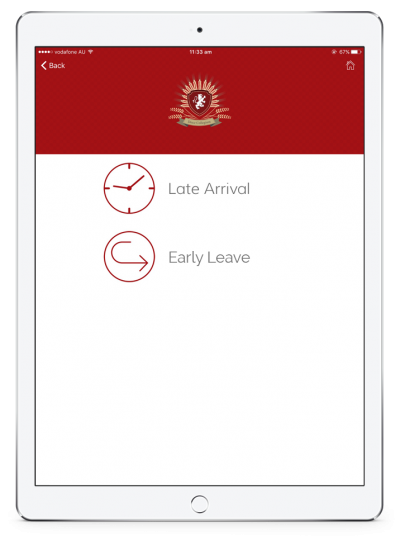 Student late arrivals and early departures are a speciality of the Passtab system with clear and concise reporting for day-to-day operations or emergency situations. Issue a quickpin, barcode or QR code to regular visitors for a faster school sign in process. Options include custom designed printed badges, a range of visitor lanyards, a photograph of each visitor or drivers license. Agreement to terms of entry or school policies. Check if visitors have the relevant children/police checks or if contractors have completed your induction. We work with you to find out exactly how you’d like Passtab to operate and what outcomes you’d like to achieve. 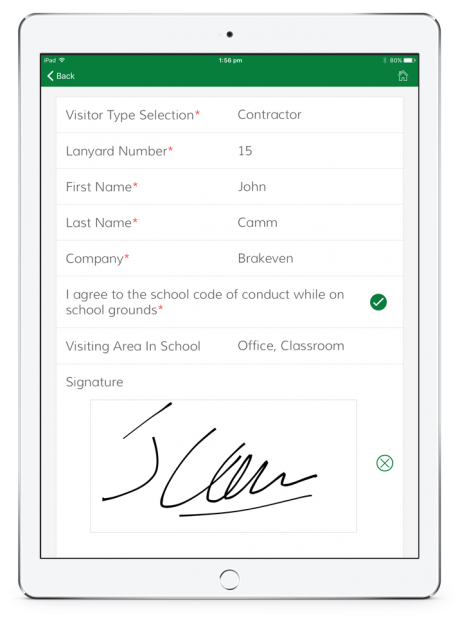 Ensuring the sign in and sign out process is fast and convenient is essential. Passtab offers a number of options that allows the profile of regular visitors to be saved and activated quickly using barcodes, QR codes or QuickPINs. A school emergency incident requires speed, accuracy, and accountability. Passtab delivers fast, accurate reporting of everyone signed into or out of your school. 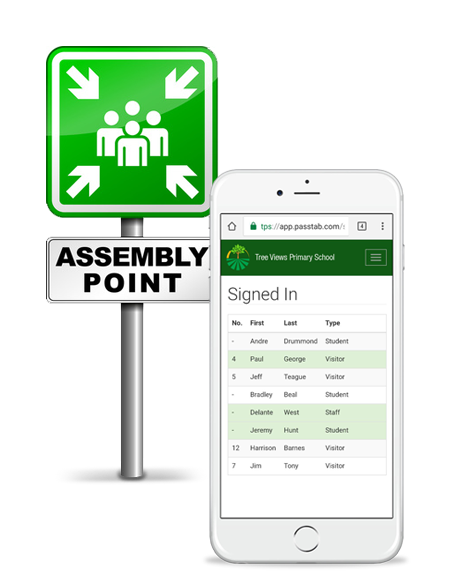 Authorised school staff are able to view live reports using their mobile phones and highlight each person’s name as they are accounted for. Real-time emergency list for access from any internet connected device. Accessible by multiple school staff for high coverage during an emergency. Names are highlighted as each one is checked off. The Passtab system gives you a sophisticated administration dashboard where you can manage all school visitor activity including name, visitor type, sign in and sign out time, reason, and more. 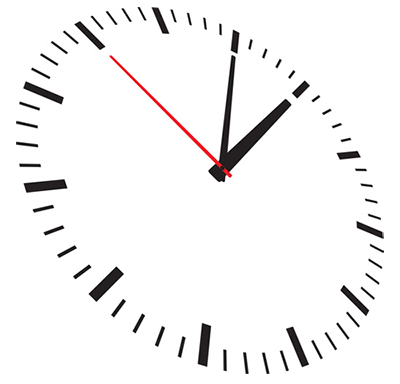 Passtab can also be used to accurately record the number of hours worked by school relief staff. We’ll configure your school administration dashboard to meet your requirements so the reports you run are exactly as you need. All reports are available in real-time for authorised staff on their desktop and mobile devices. Use Passtab to track hours of your schools relief teachers and part time staff. It’s also a great way to monitor the length of time contractors spend at your school. The Passtab system dynamically manages student late arrivals, early departures and returning to school with clear and concise reporting. By enabling Passtab notification features the relevant teacher can be alerted when a student signs in late or leaves early. 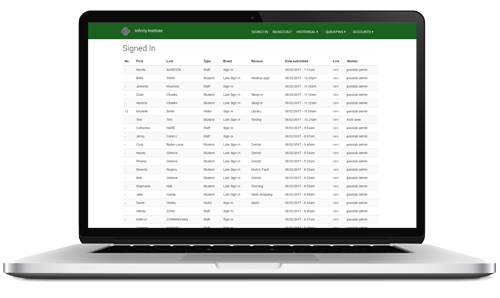 Passtab is a versatile school visitor registration framework that’s designed to manage a number of tasks related to school visitor management, tracking and reporting. It’s a powerful system, so our team of experts will listen to your school’s requirements and action a specific configuration for you. 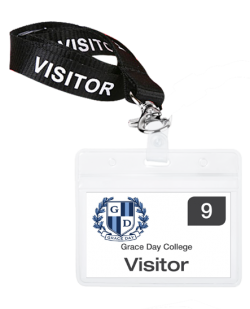 Display specific terms of entry to the different visitor types entering your school. Passtab will ensure that each school visitor has the opportunity to view material and agree to the terms. 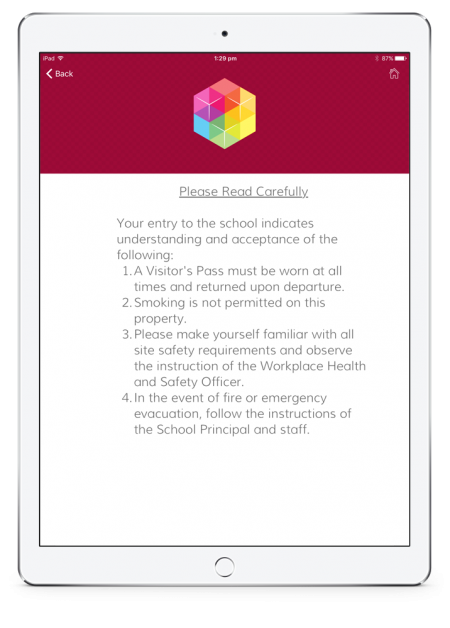 The system can also be used to display your student safety code of conduct, evacuation procedures, work safety information, asbestos register and other school induction notices. 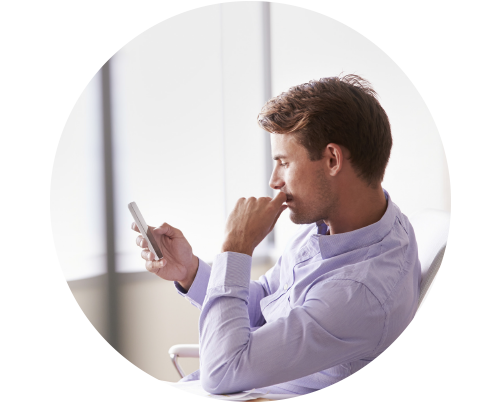 Passtab will send SMS* or email notifications to one or more nominated people where an immediate alert to specific information is required. *Additional costs for SMS apply. 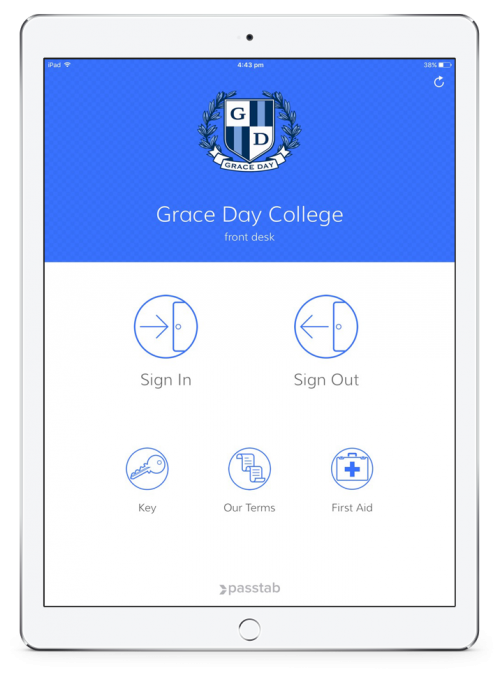 Passtab can be securely accessed by authorised personnel from any smart phone to sign students out from their excursion or sports location. 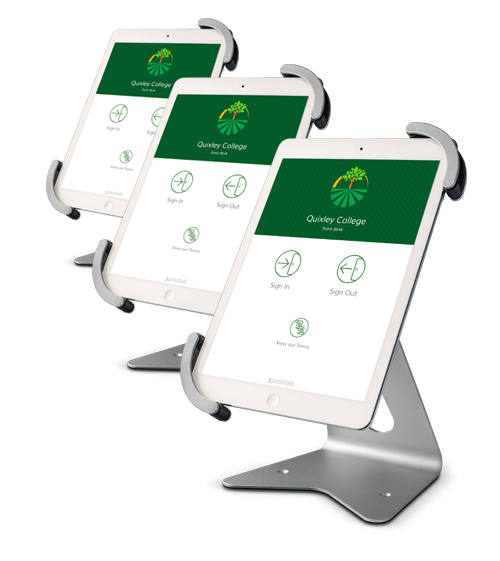 Passtab effortlessly integrates multiple iPad stations across any number of entry locations across mutiple campuses. 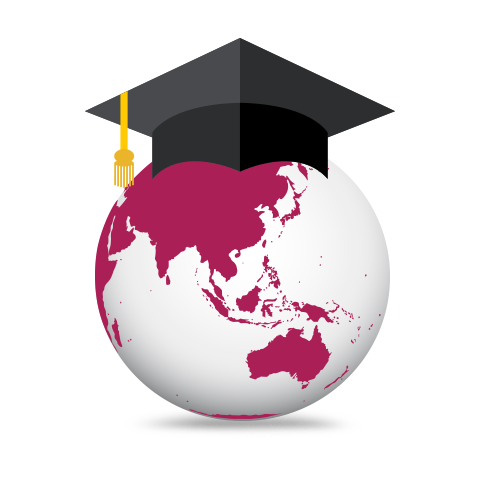 It doesn’t matter whether your campuses are close by, or located in other countries. Passtab will consolidate all data into an easy-to-access administration dashboard. Within any one site, Passtab allows you to use the software on as many iPad stations as you wish. Use it in the staff room, sick bay or any other area where people move into and out of the school. Each station will send its information to your centralised administration. 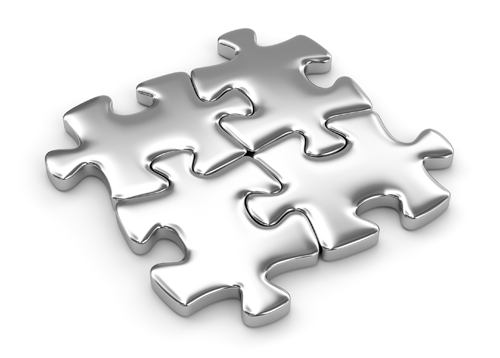 Passtab also includes multi-campus configurations to link any number of campus locations into one seamless system. Used by some of Australia’s largest colleges to streamline school visitor management across different regions. Schools around the world are enjoying Passtab! We love working with schools of any size, any shape and in any country! 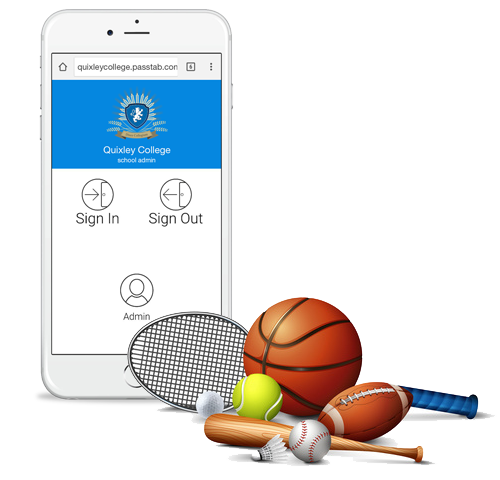 Passtab is responsible for managing the visitor registration needs of schools in many locations around the world including Australia, New Zealand, the United States, United Kingdom and Asia. Simply email us your school's name and we'll send you back the details to your trial account. A dedicated staff member will personally manage your entire sign up process and customise your account to suit your needs. Contact us to start your 30 day free trial or move ahead and get started straight away. • Access to all system features. 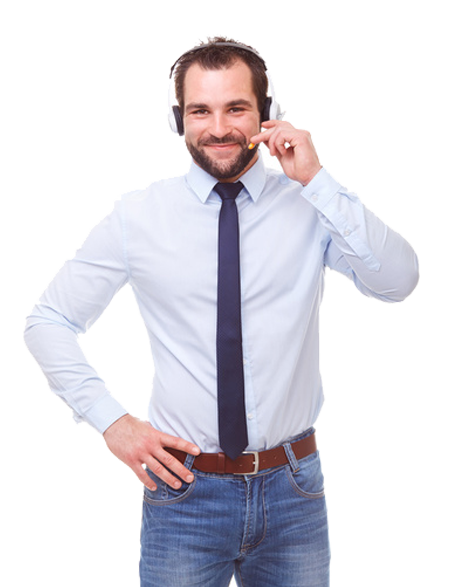 • Unlimited priority phone and email support. • Optional SMS notifications (additional fees apply). • No locked in contracts. Each campus is charged based on its size as listed above. Need an iPad Desk Stand or Floor Stand? We offer a range of hardware options for those who need it. Anti-theft iPad desk stand. Simple design. Easy to use. This kiosk style iPad counter stand is ideal for a desk location. The iPad is securely fitted inside the housing, and the unit simply sits on the desk. It also has anti-theft features, allowing you to fasten the unit to the counter top if you feel security is required. 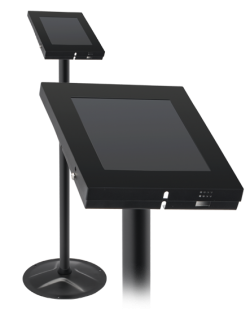 When you would like to host your sign in kiosk away from the desk top, this iPad floor stand is the ideal solution. The iPad is securely fitted inside the housing, and the unit simply stands on the ground. It also has anti-theft features, allowing you to fasten the unit to the floor if you feel security is required. Black visitor lanyard with plastic ID card holder and printed visitor card (with custom logo). Using our web contact form or by phone, please feel free to talk to us with any questions you may have. Passtab is proudly Australian designed, built and owned.